"Tottenham have a point to prove after defeat at Arsenal, and they can overpower a Saints' defence that is leaking plenty of goals." After a week of thrilling highs and bitter lows, Spurs find themselves still in the hunt for an unlikely Champions League last 16 qualification, but outside the Premier League's top four. Chelsea were bamboozled at Wembley in a 3-1 win for Tottenham, who then edged out Inter Milan 1-0 at the same stadium to keep alive their UCL hopes, but Sunday's chaotic 4-2 defeat at Arsenal will sting for a while. Spurs took a first-half lead in that game, but it would take a somewhat blinkered Tottenham supporter to suggest the Lilywhites deserved to win that match. Arsenal's speed and intensity won the day (supported by a bit of fortune for Alexandre Lacazette's winner) and afterwards Spurs boss Mauricio Pochettino admitted the physical rigours of a tough week had taken their toll in the closing stages. With Tottenham now a hefty eight points behind Premier League leaders Manchester City, the first priority is getting back into the Champions League qualification places, and in some ways managerless Southampton are the perfect opponents. Opta tell us that Spurs have won eight of their last ten PL home games against Saints, and overall they have lost just one of the clubs' last 12 meetings in the top flight. After he was controversially omitted from the derby defeat, Toby Aldeweireld could return to the defence to face his former club. Jan Vertonghen is suspended after his dismissal at Arsenal. Kierna Trippier and Erik Lamela could both return after injury. With a lot of managerial sackings in the Premier League, you can justifiably draw the conclusion that a team has panicked, gripped by fear of a costly relegation. 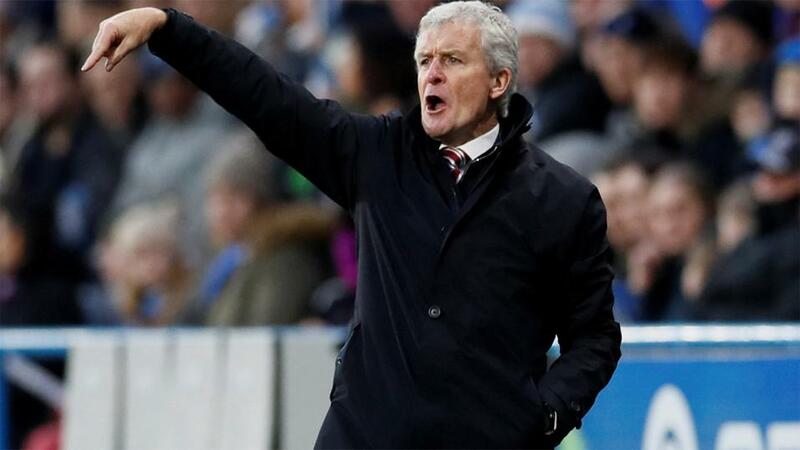 In the case of Mark Hughes and Southampton, the decision seems to make perfect sense. Under Hughes, Saints won just three of their 22 Premier League matches, they are currently in the bottom three, and they crashed out of the League Cup at Leicester City. For now, Kelvin Davis has his hand on the tiller, as Saints go to Wembley. They haven't won a Premier League game since the first of September, and on the road they have picked up just one point from the last five away matches, conceding 14 goals in the process. Midfielder Mario Lemina is suspended after picking up his fifth yellow card of the campaign, Ryan Bertrand hopes to return after a back injury, and Danny Ings faces a late fitness test. Southampton are still in a bit of a mess, and although the removal of Hughes feels like a positive step, a successor won't start work until the weekend against Cardiff. Saints have a bad record against Spurs in the last few years, and a worse record in general this season, and Tottenham have a point to prove after a demoralising derby defeat at Arsenal. I'll happily back Tottenham -1.5 on the Asian Handicap at [2.11]. The loss of Virgil van Dijk to Liverpool was always going to be one that would be near-impossible to mitigate, and defensively Southampton are struggling. They have leaked 26 goals in 14 league games, including 12 in the last four outings. Nine of Tottenham's last 14 Premier League games have featured three goals or more, so I can understand why Over 2.5 Goals is trading at [1.72]. Moura to make his mark? Lucas Moura was a late substitute at the Emirates, and it wouldn't be a surprise to see him start this one. His pace could cause a shaky Saints defence all manner of problems, and at [2.44], he's worth considering to find the net in 90 minutes (he has five goals across the Premier League and Champions League). Harry Kane is available at a skinny [1.47].